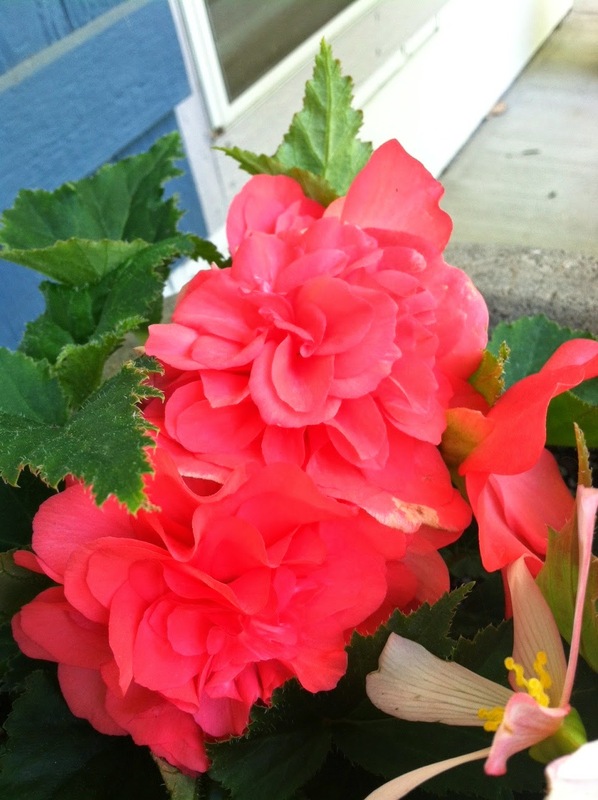 Lakeview Cottage Kids: June Flowers at Lakeview Cottage!!! 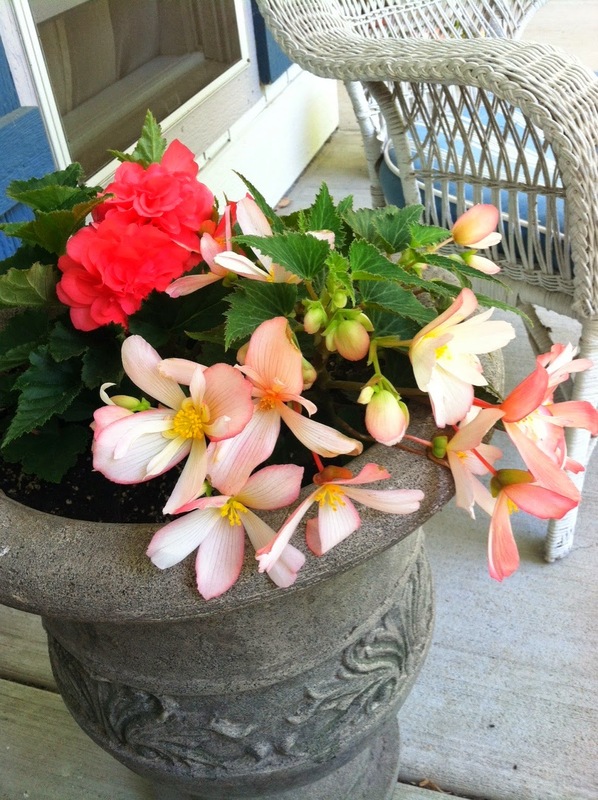 June Flowers at Lakeview Cottage!!! 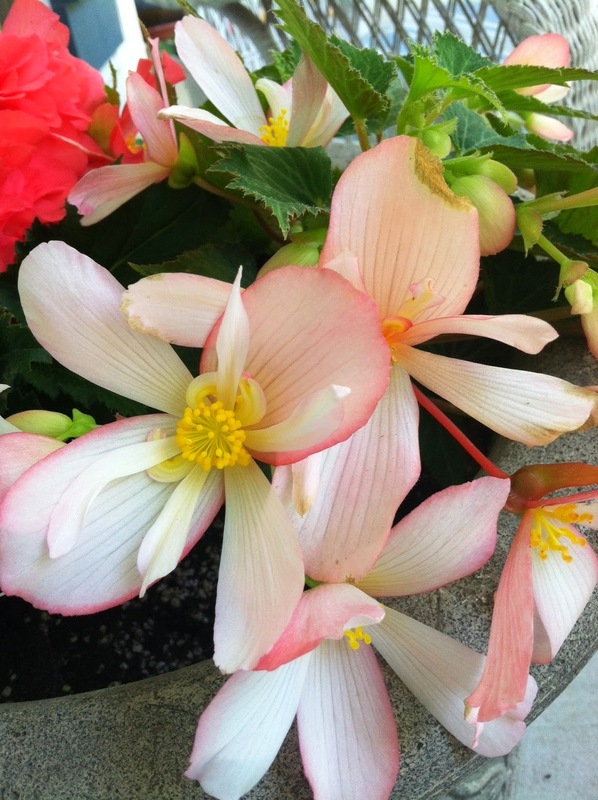 With lots of rain and warm days, the plants and flowers at Lakeview Cottage are going crazy!! Here are some pictures I took as the gardens just exploded in early June! Of course, products like Miracle Gro fertilizer is very helpful, too! Wouldn't garden without it! 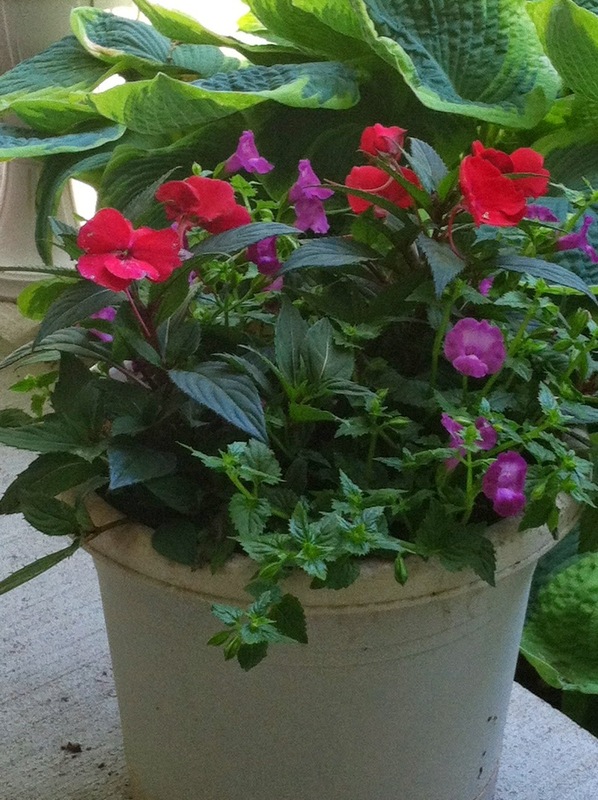 These plants for my pots on the porch were purchased at one of my favorite nurseries, Woodland Valley Farms in LaValle, Wisconsin! Kathy has such beautiful plants every year!!! 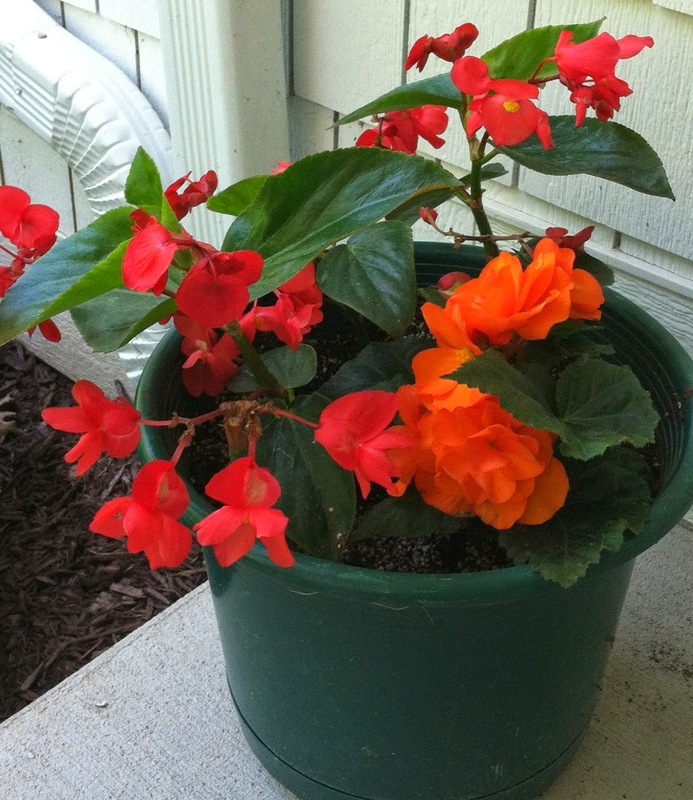 Orange Tuberous Begonias, Angel Wing Wax Begonias and SunPatiens!! More Flowers "Exploding" for the 4th of July!